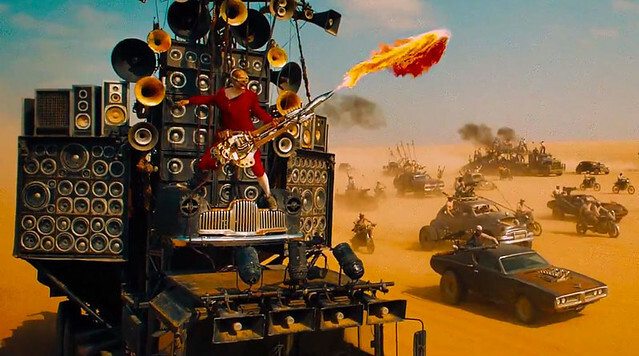 The inspiration for this project was the Doof Warrior’s flamethrower guitar from Mad Max. 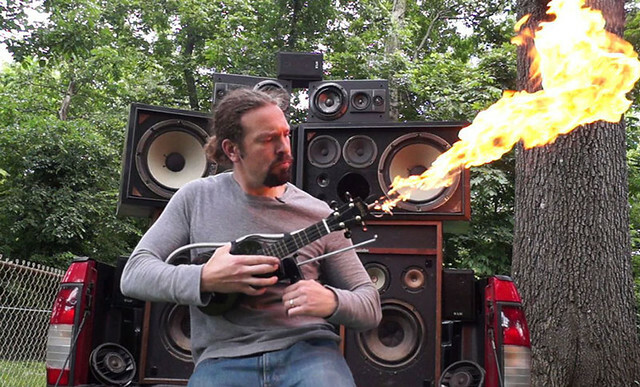 Nothing says rock-n-roll more than actual fire entwined with your tunes! From Caleb Kraft and the marvelous Make. TotH to Bored Panda. 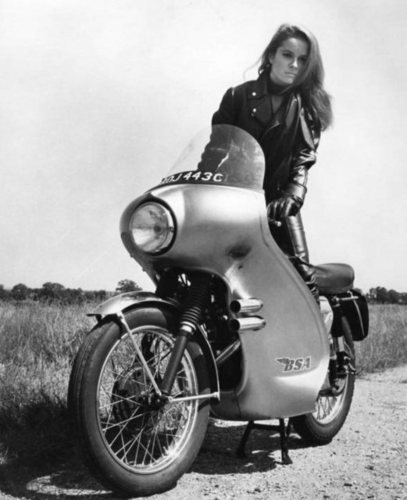 As we fire ’em up, we might send glamorous birthday greetings to Luciana Paluzzi; she was born on this date in 1937. An actress whose career began with an uncredited walk-on in Three Coins in the Fountain in 1954, she acted in dozens of films, mostly in Italy, until 1965, when she appeared in her best-known role, SPECTRE assassin Fiona Volpe in the fourth James Bond film, Thunderball. A victim of the “Bond Girl curse,” her best-known role afterwards was probably a tangential turn in Muscle Beach Party.